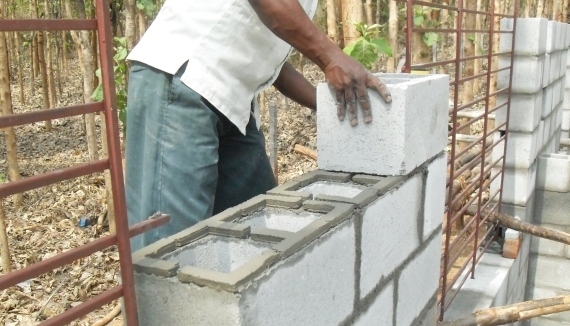 It is well known that we need about 10 blocks to build one square metre of wall. Now, how do we estimate the quantity of mortar needed to lay the blocks? 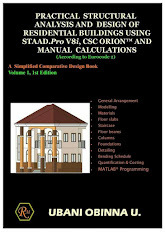 First of all, let us look at the dimensions of 9 inches block with hole (most popular block for building in Nigeria). Therefore the volume of mortar required to lay one square metre of 9 inches block (with hole) can be taken as 0.03m3 for all practical purposes. To go further, let us assume that we have 150 m2 of wall, and we want to estimate the quantity of cement and sand for mortar needed to lay the blocks. Provide = 4.5 x 6.33 = 29 bags of cement + allowance for waste as appropriate. Provide = 4.5 x 2112 = 9504 kg of sharp sand + allowance for waste as appropriate. So you can order 10 tonnes of sharp sand and 32 bags of cement for this job. This is an awesome one bro. It makes sense but truth still remains that no one will accept that on site. No client will accept this, this is one of the problems of Engineering in Nigeria. Your estimation is according to standard, but that's only for Company Jobs where a workman is entitled to just 70 blocks per day. No common man will accept this, before you know it, one person that doesn't even know standard will come and quote nonsense.